Electric Shears CEL 36P are reliable, strong and durable. Highly resistant thanks to its cast-iron monoblock machined chassis. Electric Shears CEL 42 P are reliable, strong and durable. Highly resistant thanks to its cast-iron monoblock machined chassis. Electric Shears CEL 52 P are reliable, strong and durable. Highly resistant thanks to its cast-iron monoblock machined chassis. Electric Shears CEL 55 P are reliable, strong and durable. Highly resistant thanks to its cast-iron monoblock machined chassis. 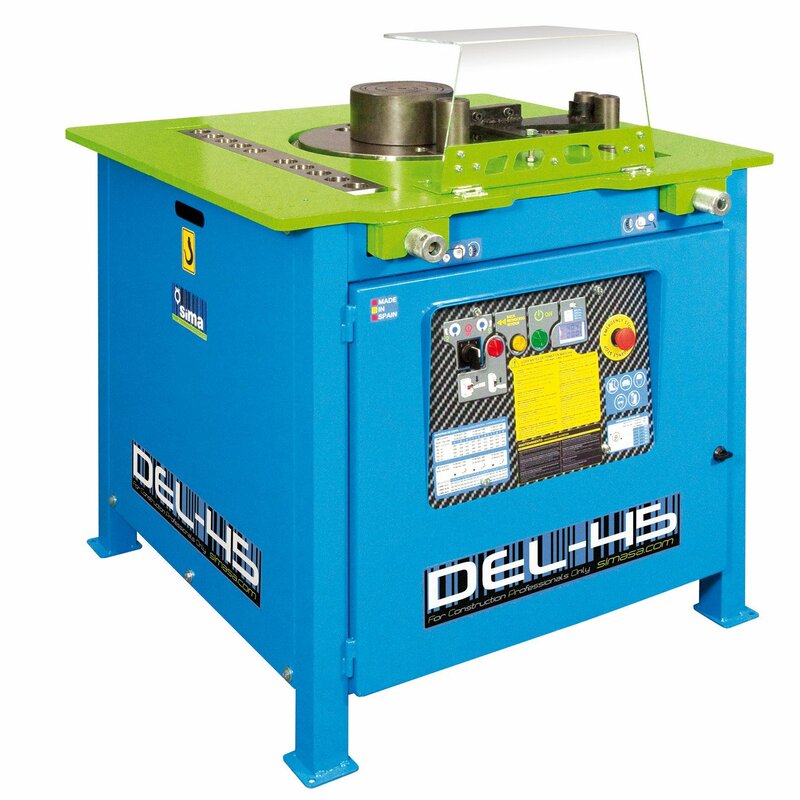 All models of DEL benders are also capable to produce stirrups, spirals and hoops using the optional accessories. 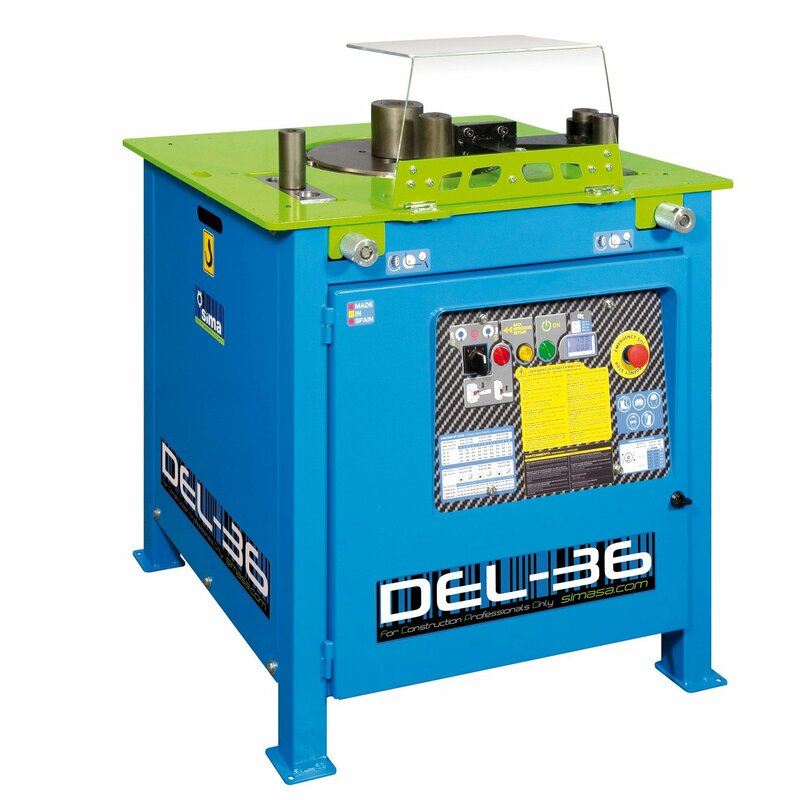 All DEL benders are fitted with the compulsory safety systems and devices to comply with all international safety regulations. 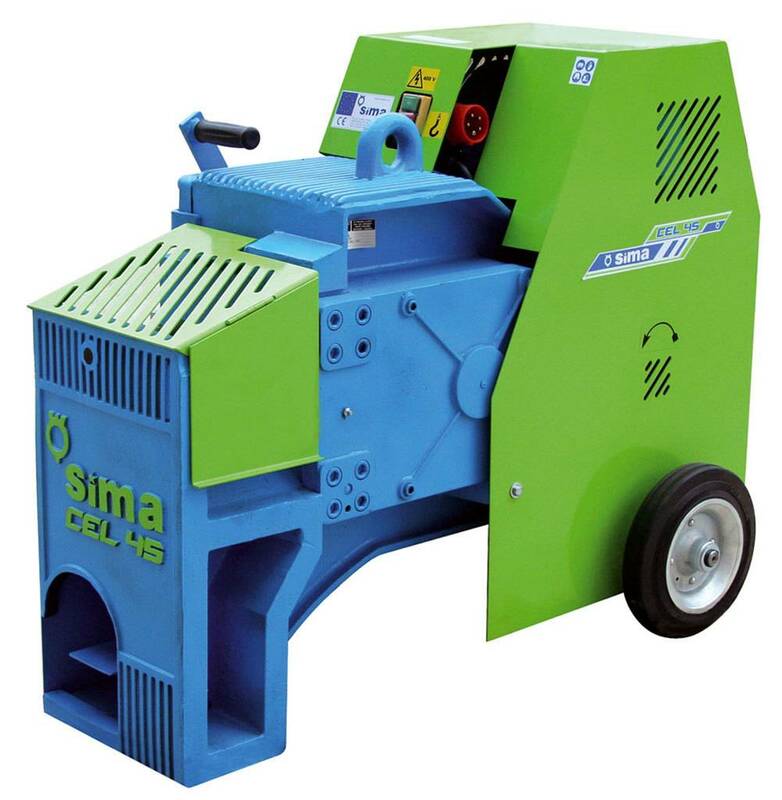 All models of SIMA benders DEL 32 2V are also capable to produce stirrups, spirals and hoops using the optional accessories. 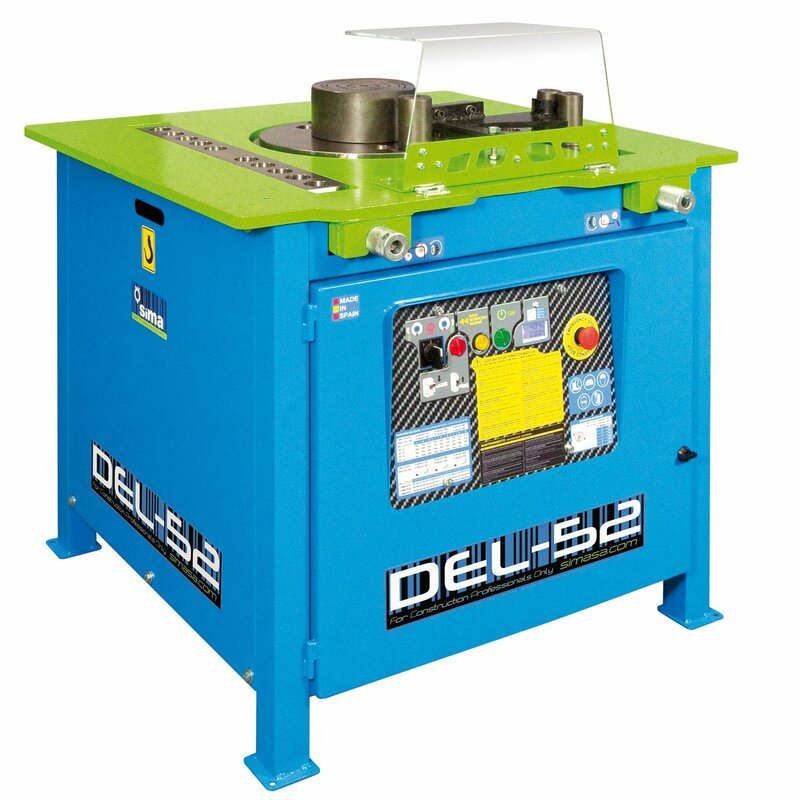 All DEL benders are fitted with the compulsory safety systems and devices to comply with all international safety regulations. The benders DEL 36 are also capable to produce stirrups, spirals and hoops using the optional accessories. All DEL benders are fitted with the compulsory safety systems and devices to comply with all international safety regulations. 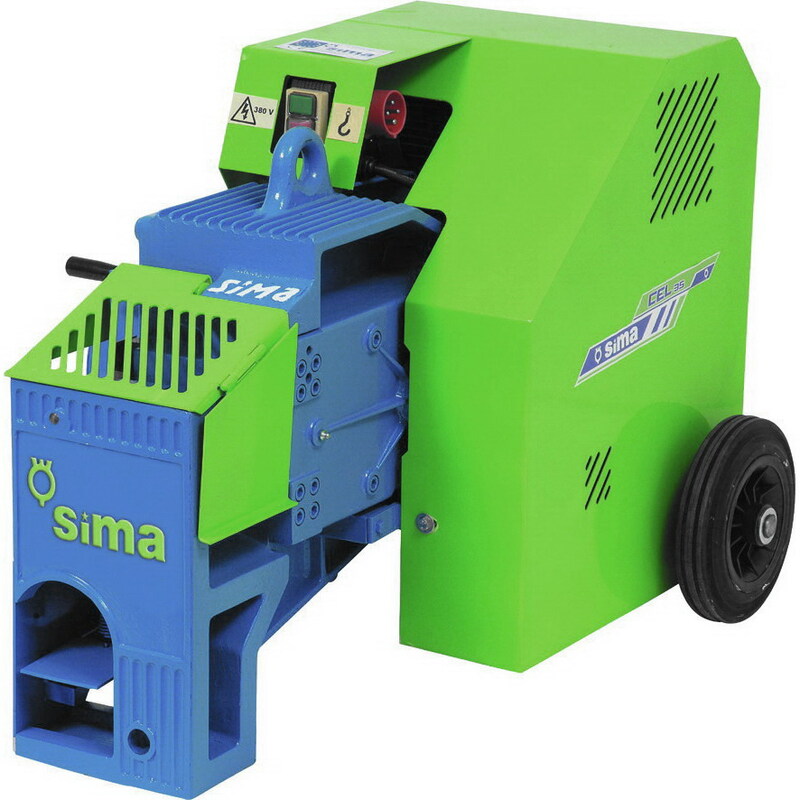 SIMA benders DEL 36 2V are also capable to produce stirrups, spirals and hoops using the optional accessories. All DEL benders are fitted with the compulsory safety systems and devices to comply with all international safety regulations. 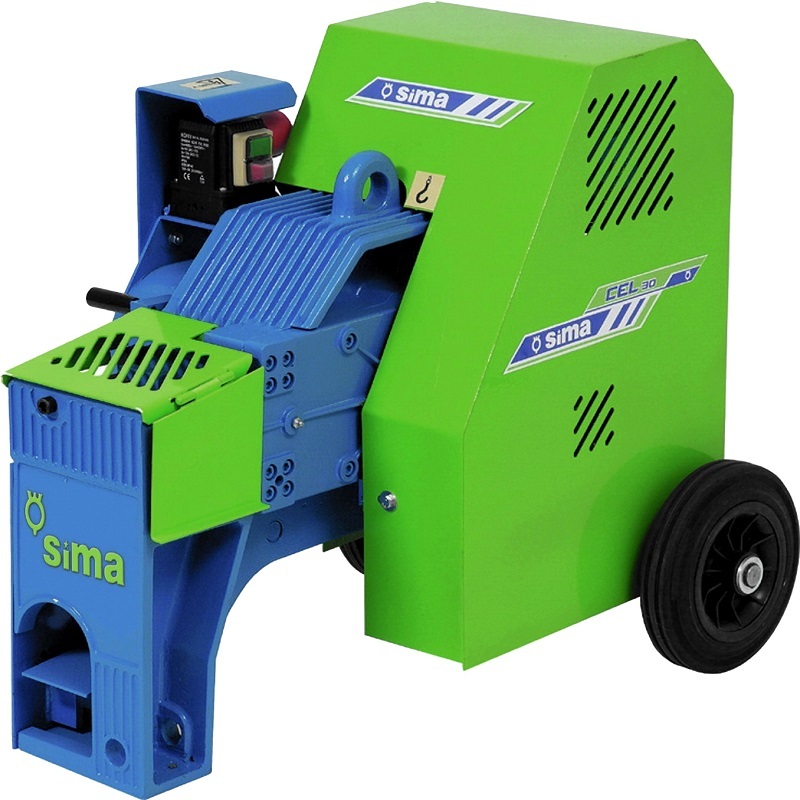 The benders SIMA DEL 45 are also capable to produce stirrups, spirals and hoops using the optional accessories. All DEL benders are fitted with the compulsory safety systems and devices to comply with all international safety regulations. The benders SIMA DEL 45 2V are also capable to produce stirrups, spirals and hoops using the optional accessories. All DEL benders are fitted with the compulsory safety systems and devices to comply with all international safety regulations. The benders SIMA DEL 52 are also capable to produce stirrups, spirals and hoops using the optional accessories. 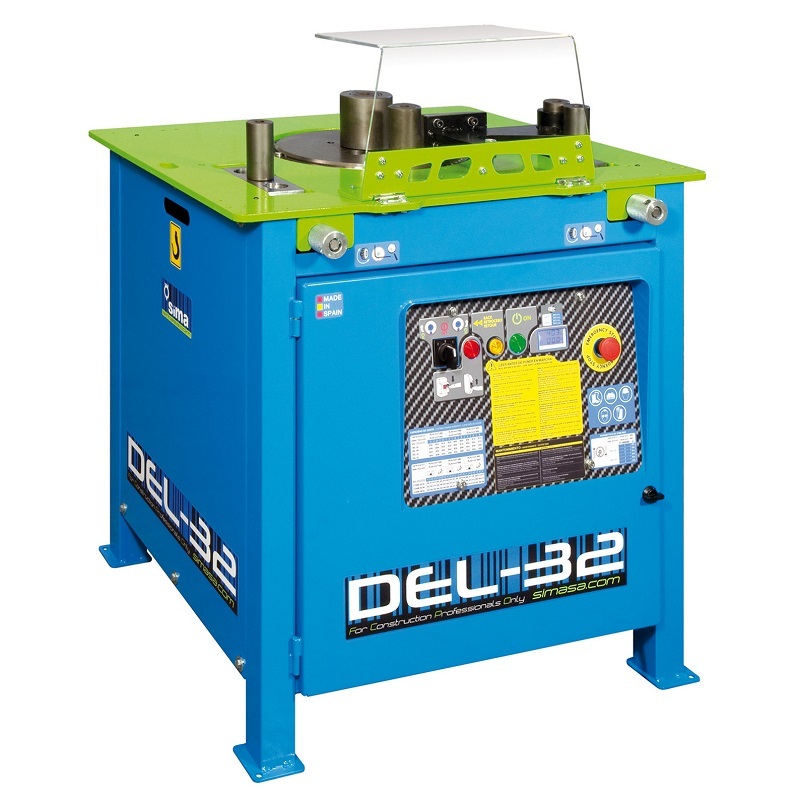 All DEL benders are fitted with the compulsory safety systems and devices to comply with all international safety regulations. 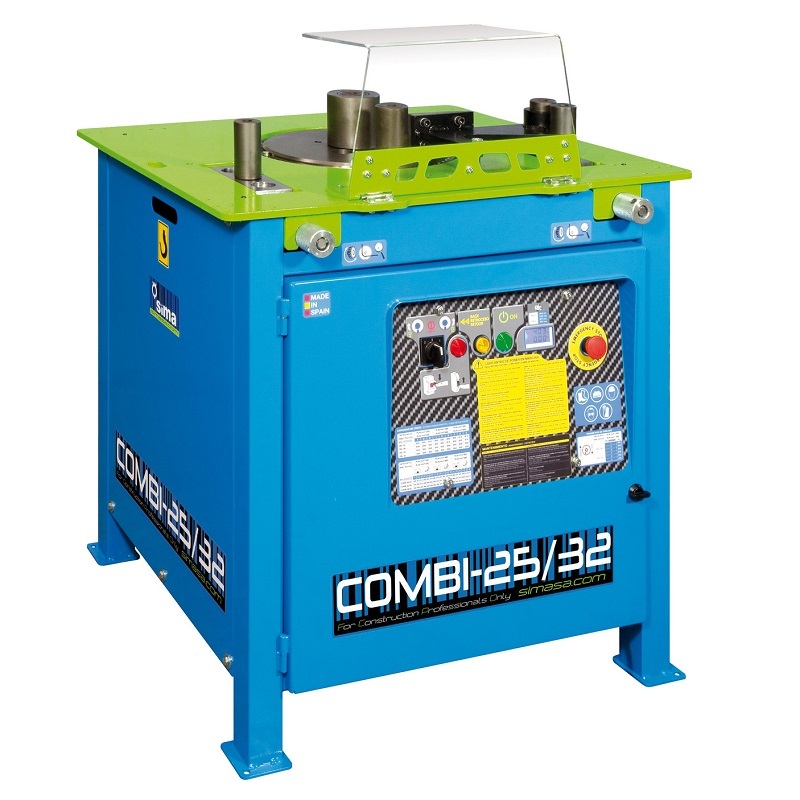 COMBI 25-32 are specially recommended for rebar production in small – medium housing or infrastructure projects with rebar sizes of up to Ø36mm / 1 3/8 ” (#11) for cutting and Ø52mm / 2″ for bending, such as small resorts, condominiums, villas, low height apartment buildings, etc. A multi-purpose machine which also allows production of stirrups, spirals and hoops with its optional accessories.